Getting Specific: How did they find our site? Jenny wonders: When people came to our site, did they type in our URL or click on a bookmark? Or did they come through a search engine or from social media? 1. In the left-hand navigation, Jenny clicks on Acquisition > Overview. ORGANIC SEARCH: Sessions that came from search engines such as Google, Yahoo or Bing. 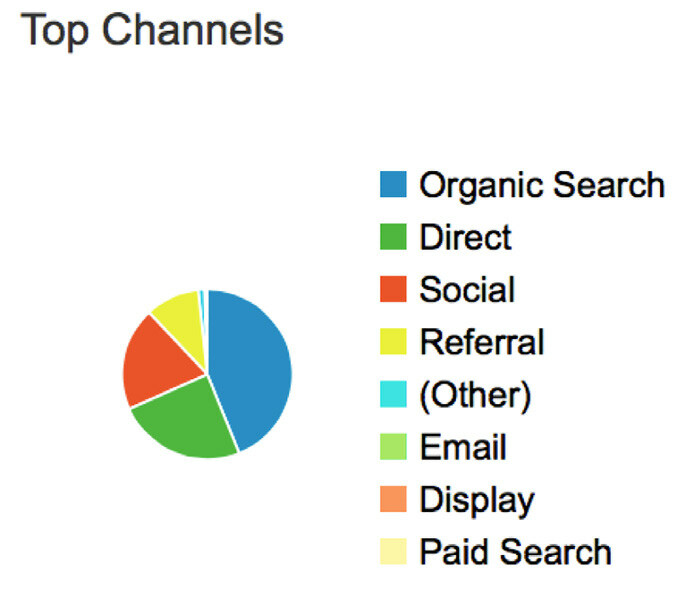 Organic search traffic doesn’t include sessions that come from paid search ads. DIRECT: Sessions from people who typed in a URL, clicked on a bookmark, or copied and pasted a URL in a browser. SOCIAL: Sessions from links in a social network such as Facebook or Twitter. This channel includes all traffic from social networks, not just traffic from the news organization’s social network accounts. REFERRAL: Sessions from links from another site such as the Huffington Post, Wikipedia or any other site that’s not a search engine or a social network. Others could include channels customized by a news organization such as EMAIL and paid search advertising.